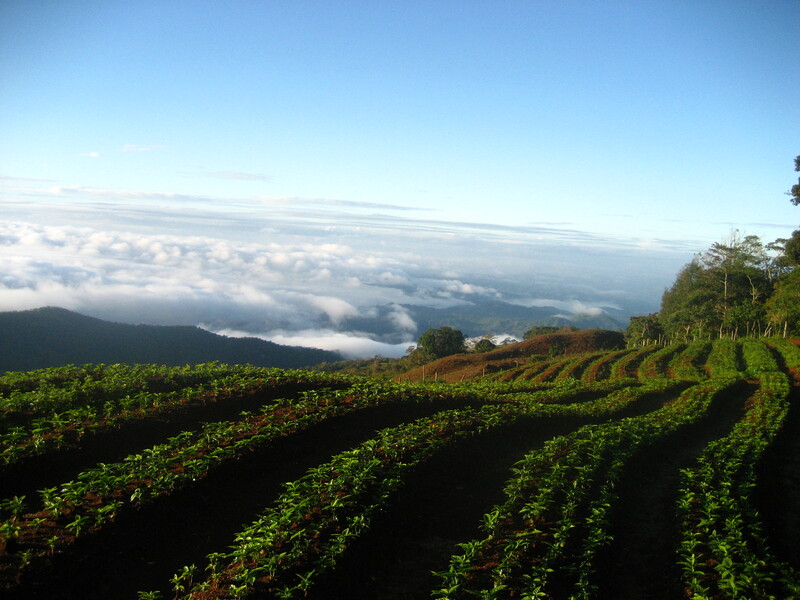 Arabica coffee (the smooth mild stuff) grows best in volcanic soil at least 1400 meters (~4500 feet) above sea level. 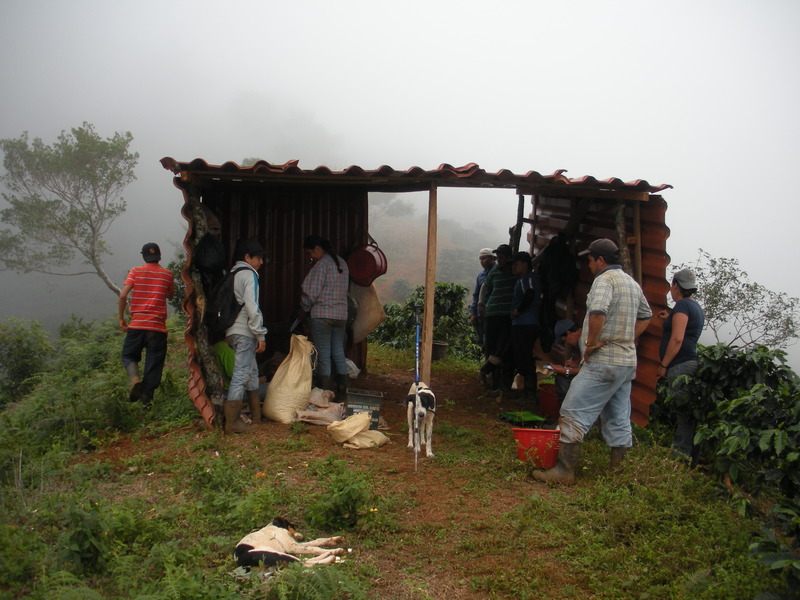 Often, the more spectacular the conditions for growing coffee, the more daunting the trek to get there. The trip up Latin American coffee mountains may be at times treacherous and always impressive, but it’s usually worth it. And there is no better illustration of the prize at the end of the climb than the coffee growing at the top of La Potenciana mountain in western Costa Rica. The trip up to the cafetales involves hairpin turns, sheer drops on either side of the dirt road, a dirt road that becomes a slick mud slip-n-slide after the first 15 minutes of rain (which falls regularly), stream crossings, and a whole lot of breath holding. But the breath you’ve been holding will be taken away the second you turn around and see the view you’ve earned from all that climbing. And no doubt whoever’s fearlessly (so fearlessly that he probably won’t even bat an eyelash) chauffeuring you will tell the story of the founding of the community and how perseverance is wrapped up in its name. A young husband had bought land (probably slated for cattle grazing) way at the top of the mountain. He brought his young wife, Ana, with him, trekking up the steep slopes of the mountainside. But she was tired and wanted to stop. He told her, “potencia, Ana,” “strenth, Ana, we’re almost there.” He repeated his words of encouragement until they made it to the top of the mountain, rich with pastures, jungles, rivers and stunning views, where they then started a family that became the community of Potenciana. 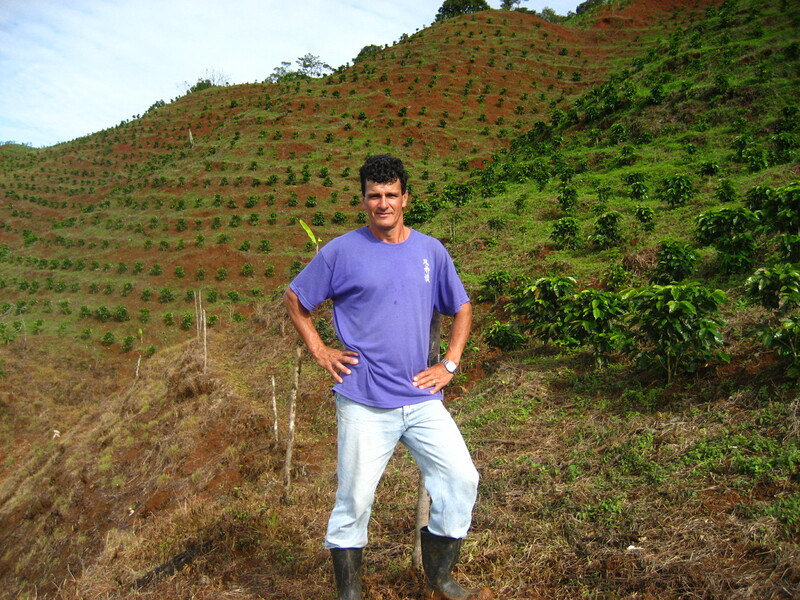 Luis Angel, a Potenciana resident and member of the current Potenciana coffee growing dream team, explains the evolution of the area. What is Potenciana? Well, years ago it was pure mountain. 47 years ago, which is how old I am, when my dad came, it was just mountain. There was barely cleared area for the houses and the ranchos [roof-only barns without walls]. And the rest was mountain on all sides. They say that all this [gestures to the paved and dirt roads we’re sitting at the intersection of] was just oxcart paths, when everyone had oxen. They used to come from Potenciana to San Pedro with their carts full of crops, beans, corn, everything. All the way to San Pedro- to the stream. The train used to pass there, so they loaded everything onto the train to San Jose. About 6 or 8 years ago people started using cars here. Because before the bus would just drop you here, and you ou could only get up to [La Potenciana] by horse. And then they [Mike and Bill] came and bought the finca there. We’ve, practically all our lives, lived here. I was born in Barbacoas, and then I’ve lived my whole life here, in La Potenciana. right by the bodega, you know- and then we had to drag it all the way down to where we planted it. And that coffee is now producing and everything. Right where we planted it! This should be called, “café de Potenciana,” Potenciana coffee! Germinated right here, grown here; it’s really coffee from La Potenciana. 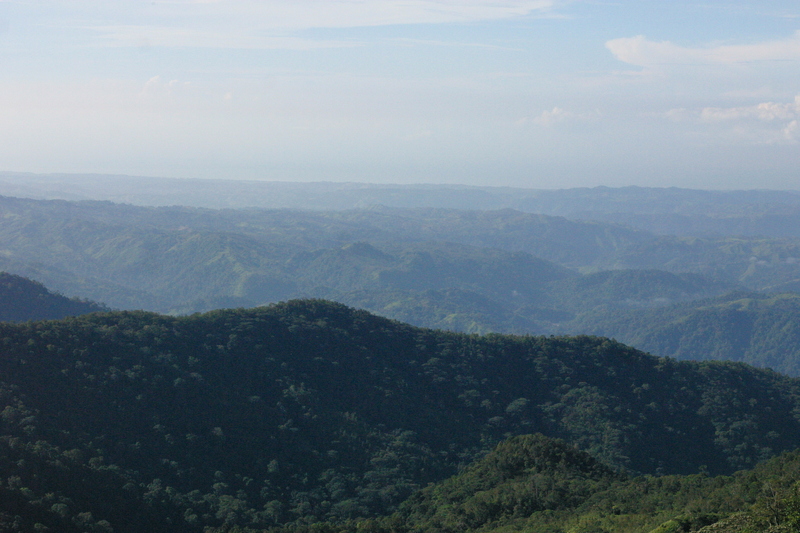 With creativity, research, planning, that same relentless perseverance that Ana called up so long ago, and a dose of magic that only the misty heights of the jungled Costa Rican mountains can provide, you can make coffee not just grow, but thrive. 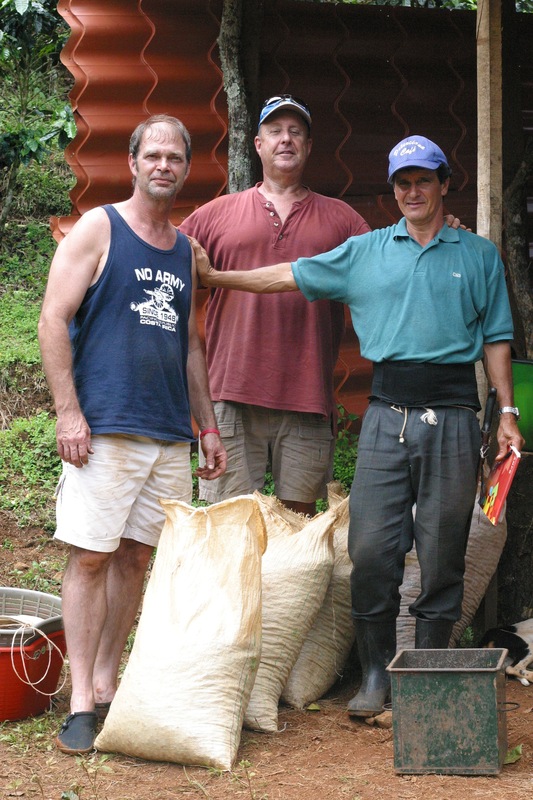 Mike and Bill, two long time gringo friends, thought that planting some coffee and then harvesting it would be a fun and relaxing way to enjoy Costa Rica’s gorgeous mountains while making a little money during their coming retirement. 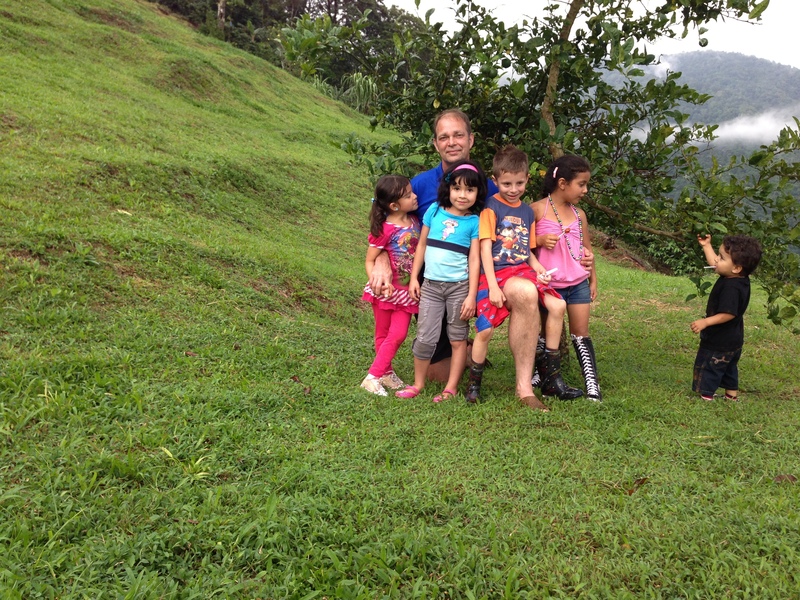 But they quickly learned that growing coffee is anything but relaxing, and that it can be rewarding (and even a lot of fun! ), but only once you’ve put in every ounce of effort you can muster up. Which is exactly what Mike and Bill decided to do. Instead of retreating in overwhelmed fear, they mustered. 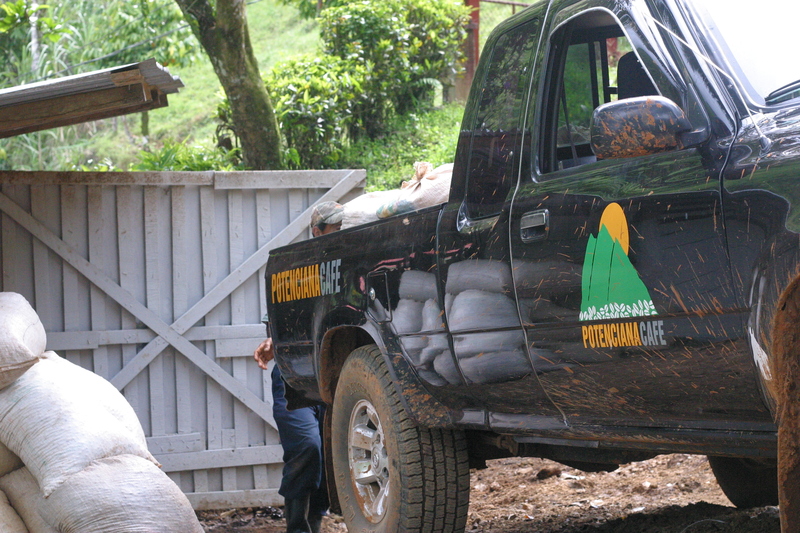 They poured everything into revitalizing the land they’d purchased to make it a thriving coffee growing enterprise. In doing so they’ve also revitalized the community. Sons don’t have to leave their families to find work hours away; they can be gainfully employed right at home. Fathers and sisters can get part time jobs year round, and everyone can call all their cousins and kids (over 16!) and friends to come pick the cherries at harvest time, which are dripping off the trees thanks to year-round meticulous care. Everybody wins. The determined work of one small business, bolstered by the support of the non profit, Saplings, Mike and Bill founded once they realized how much support La Potenciana could use, transformed the physical and cultural landscape of the community. Saplings has helped rebuild the church, repair the school, and plant thousands of trees on pastures that had begun to erode. In my travels I met a lot of people who wanted to change the world. Mike and Bill wanted to be a part of changing one place, and as they do, they know the names of everyone they work with and impact. The world is massive, vague, and often impersonal. Your empolyees and their families are personal, concrete, and right in front of you. Working to improve something that defies the scope of human perception is not sustainable. Working to improve a place that you are just as invested in improving as everyone you’re working alongside is all kinds of sustainable. Recently, coffee leaf rust, la roya, swept Latin America, devastating thousands of coffee growing families and communities by stripping coffee trees of their leaves and leaving everyone harvest-less for at least a year. 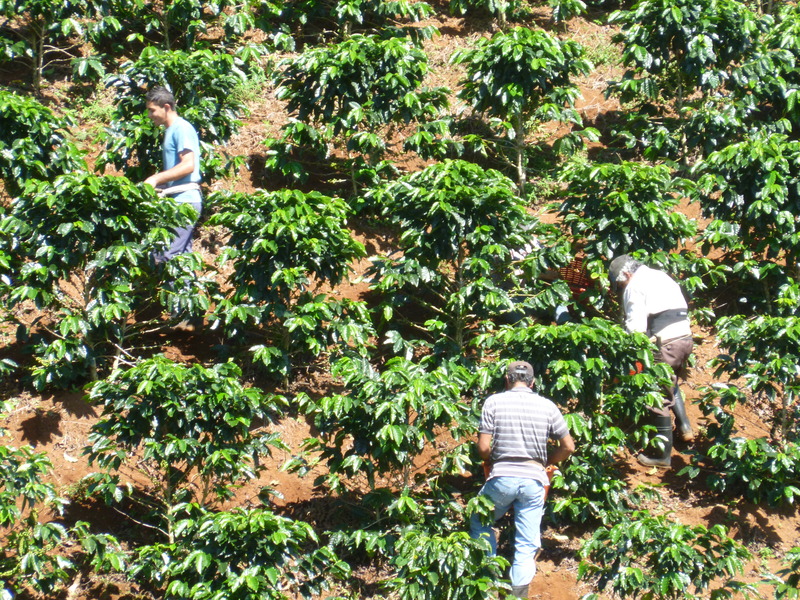 Costa Rica declared a national emergency and will see a steep decline in this year’s production, in addition to a massive loss in employment for both seasonal and year round coffee farm and mill workers. La Potenciana happily reports 0% instance of roya. That 0 is not an accident. Everyone rallied and conducted soil analyses to make precision fertilizations and treatments to steel the trees against the air borne fungus. A combination of work and luck (Potenciana’s remote location gives it an advantage in this case) left the cafetales ready to yield a bounty of “café de Potenciana” that Luis, Gerardo, Mike, Bill, and everyone involved can all be collectively proud of. This is how you do coffee right. Read more stories from and of Latin American coffeepeople in Rachel’s upcoming book, When Coffee Speaks. ADVANCE ORDER you copy here! Good work Mike! sonds like you guys need a herald, or one of those singers the cartels sponsor to sing their praises. JK! enterprise is good, enterprise that works for everyone is very good. congratulations! P.S. …Bring some of that super coffee next time you come to Biomed! Pingback: You Can Feel Good About Potenciana Cafe | W h e n . C o f f e e . S p e a k s .